A few months ago I interviewed Jordan Winthrop. Jordan is a web developer and owner of Winthrop Web Services. Winthrop Web Services specializes in web development and design for applications ranging from simple websites to intricate systems that include interactive digital signage, smart-wi-fi, NFC and beacons to extend websites into the physical world. In our interview we talked about web design, its intersection with digital signage, why we’re surprised that more web designers don’t offer digital signage as a service and more. Here’s part of our conversation. We’ll start off easy, why do you use Rise Vision? I got hooked on the ease of use and then realized that Rise Vision is backed by a bunch of good people! It also doesn't hurt that it is free. How to manage clients, accounts etc.. is something people might be concerned about. Could you tell us how do you setup your clients in Rise Vision? Do you keep everything in your company or do you create sub companies? Most clients are in my own company since i give them a platform to make changes through their website CMS which is usually WordPress. There are a few that want Rise Vision Widgets and Gadgets like weather so i set them up as a sub company. And how do you manage updates? Do they make content updates or do you make content updates? Most clients don't have time to manage their displays so i do it for them for a small monthly fee. Some clients don't even realize they are updating their screens since it is tied together with something else they are already updating like google sheets, content on their website or through rss feeds. Some clients describe our screen as magic! What about changes in scheduling and adding displays? I add, update and change all schedules for my clients except for Chamber of Commerce clients that use Rise Vision to showcase members, then i teach the chamber staff to manage and make changes since they get a lot of content from different sources it is not as standard as most other clients. 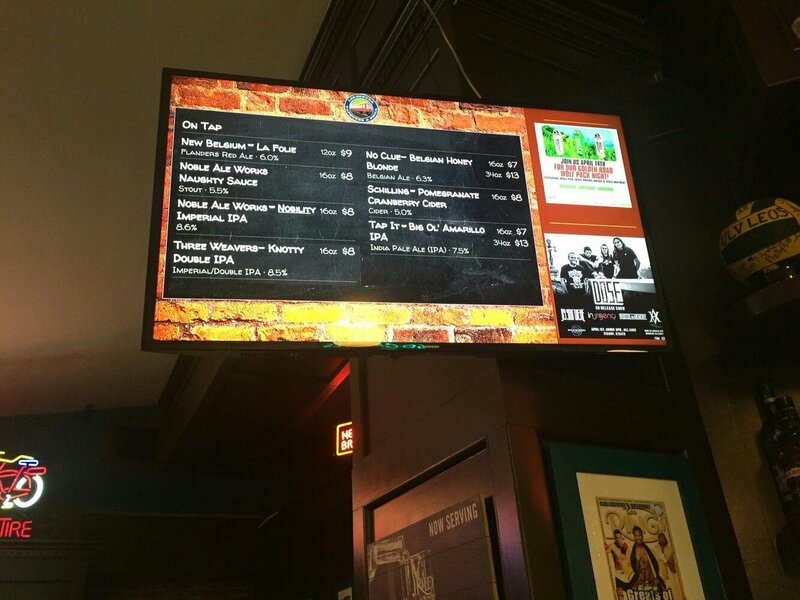 When you are building the content do you build a separate digital signage page? For static signs we create a single page layout so that their content is shared across their web site and their digital sign. Not all clients are the same and neither are our signs. 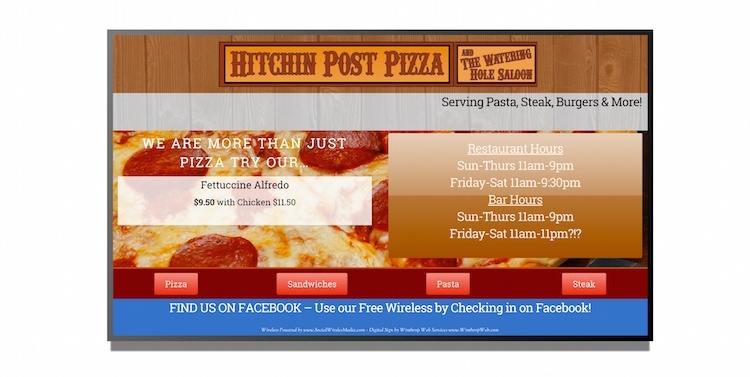 How do you find designing for digital signage compared mobile? 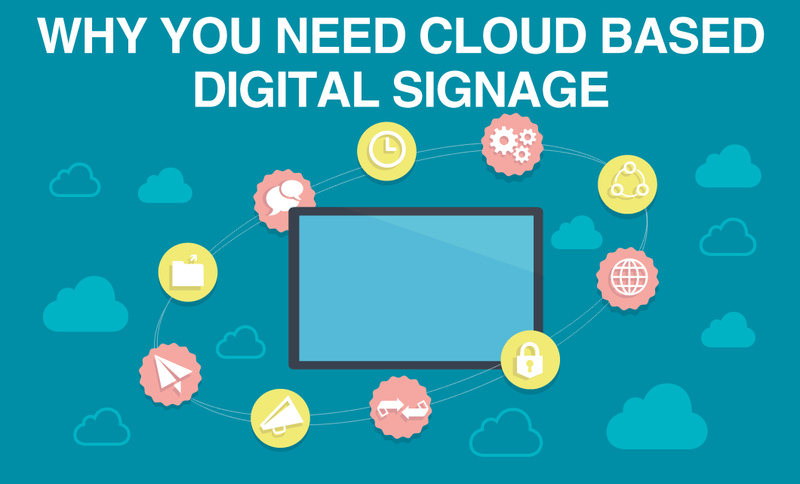 What are some challenges you’ve encountered with designing for digital signage? Designing digital signage is similar to mobile application in that the end user is usually limited to how much content they can take in. You need to design for purpose and without to much information. You want the UX to be intuitive, simple and lightweight. Do you have any examples of content you could share with us? Have you done many interactive sites for signage? We are currently polishing off a historic interactive kiosk. 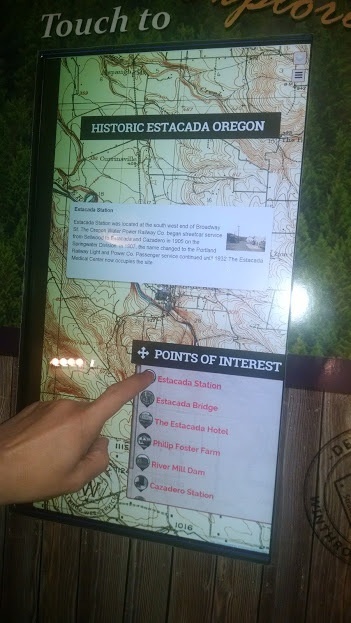 This one is a single layout that is responsive for a touch screen kiosk and from the kiosk you can scan a QR code or get a wi-fi signal to use the map on your mobile device! Are there many challenges that those present? Making touch target points that are easy to see is important because not all users see things in the same way. What is intuitive for the designer is not always the same for the end user. Is your signage content responsive? ie: it can play on different resolution displays, and portrait or landscape. Or do you just target the desired resolution? Each sign is different. Many times interactive content is responsive so we can let the user take the sign content with them on their mobile phone via a QR code and now even Wi-Fi direct from the sign to their device! No app required! When we use Rise Gadgets such as time or weather we typically use 1920x1080 but I did just read the Rise Vision Blog and found a cool way to make a single 1920x1080 presentation that displays as 1080x1920 portrait and 1920x1080 landscape. When setting up signage for a client will you manage the install or do you hire an AV company? We do it all! We design, build and enhance signage from start to finish! I haven’t seen that many web designers or developers offering digital signage as a service, why do you think that is? Maybe they feel limited with a sign in a single location. With a website they are designing for thousands of simultaneous users around the world where as a sign serves one person at a time. It feels limiting at first until you start to think about all the useful applications and areas one could place the screen. Do you think that because of the hardware part involved and physically setting up players and displays some web designers have stayed away from signage? Yes. Being on a computer all day gives us lots of time to break them, I think the fear comes from our own experience with computer hardware. That being said i have had some signs going for over 2 years without issues. Thanks for your time, and last question. 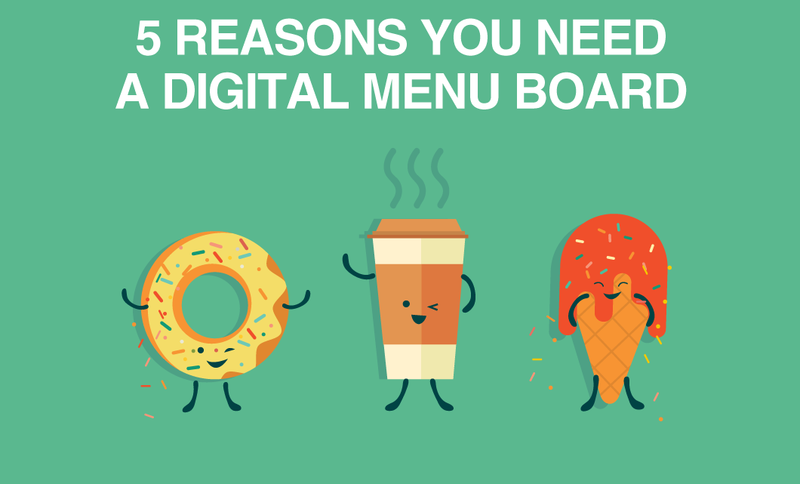 Any tips for web designers and developers looking to get started with providing digital signage as a service? Put a day on your calendar that is dedicated to creating a Rise Vision presentation for your business/ cause. It will be fun and rewarding while you learn. After that you won't want to stop!